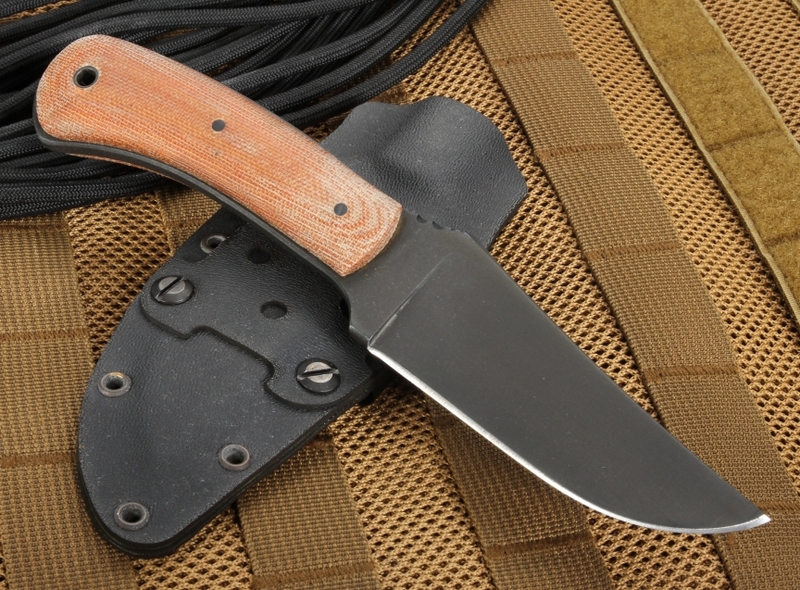 The Winkler Blue Ridge Hunter is an exciting new offering in the Winkler Knives II product line. Daniel Winkler developed this collection as a result of his involvement with Special Forces Teams in the United States Military, as well as Allied Forces from around the world. Each piece is custom-made in America using a stock removal process and bears the "Winkler Knives II" touchmark. 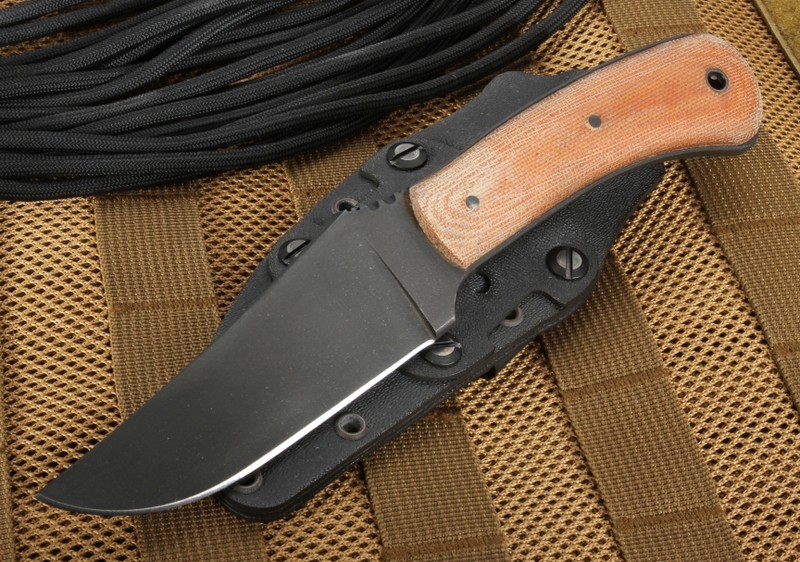 The Blue Ridge Hunter was designed to be a lighter, compact version of the WKII Belt Knife. Measuring 8" with a 4" blade, we particularly like that you can carry this knife horizontally or vertically on your belt. The Blue Ridge Hunter has a tough-as-nails 80CRV2 carbon steel blade with a flat grind, which gives you a blade that's strong and better at cutting than a sabre grind. We're including a black Caswell finish for rust resistance and reduced glare. Another thing we like about the blade is that it features a tapered full tang construction for balance, and Winkler skeletonized the handle section to reduce overall weightiness. At 5.9 ounces, this is just a nice, efficient, easy to handle piece that's a pleasure to work with - and the price point is fantastic. This knife has a durable tan micarta handle, contoured to fit your hand tightly and securely as you work. 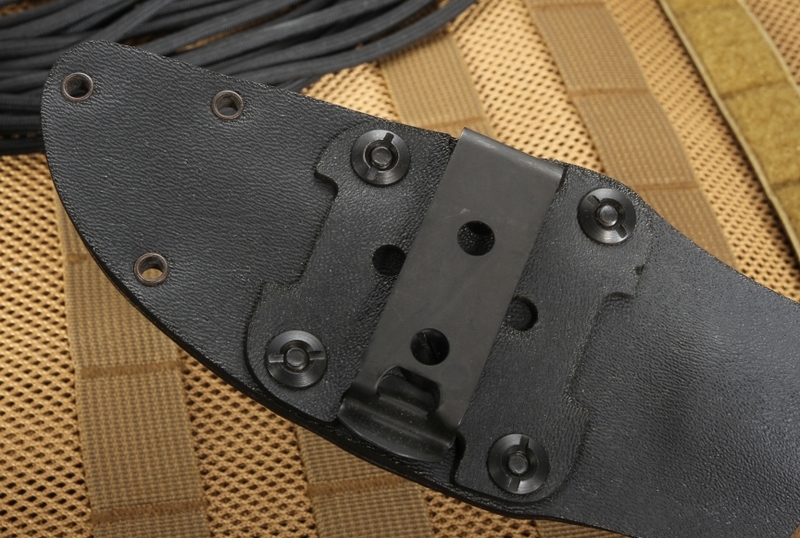 There's also a lanyard hole in the handle so you can easily strap it to a boat or backpack. 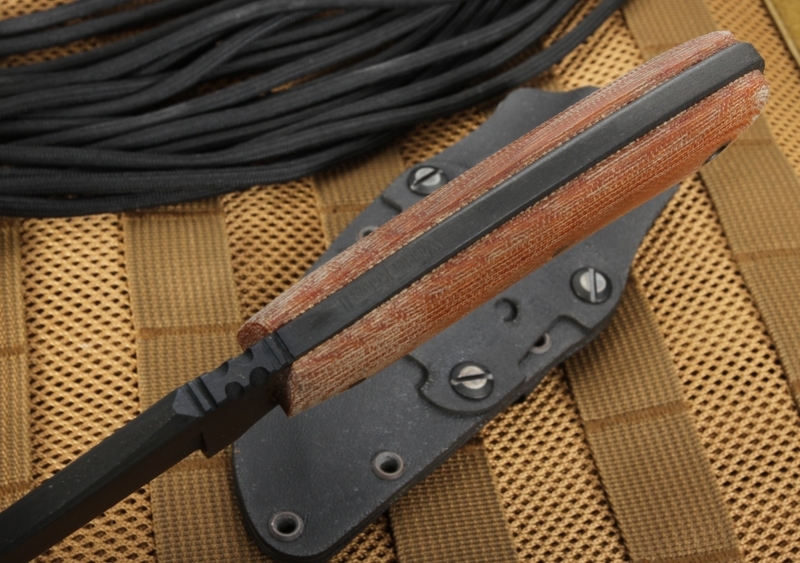 This piece is complemented by a custom felt-lined Kydex sheath.